Independent agency Radley Yeldar (RY) launched the Fit for Purpose Index 2018, ranking the world’s most socially, environmentally and economically purposeful companies. This index includes more than 180 brands from the PwC 100 and the FTSE Eurofirst 100. We are proud that two of DM2 Agency’s clients are in TOP 5! and improving the productivity of their workforce. The Fit For Purpose Index is created to help companies embed their purpose across the board, engaging all key stakeholders from employees to consumers to investors. 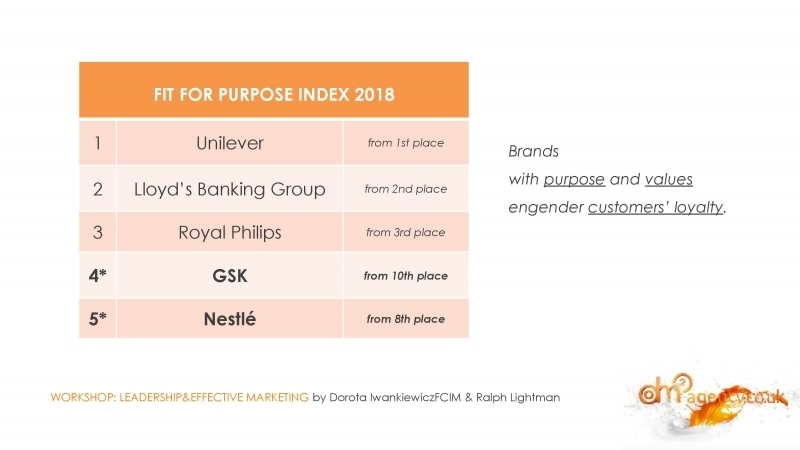 Unilever has topped the index for a third consecutive year, demonstrating an outstanding commitment to its long-term purpose strategy and implementation. Lloyds Banking Group and Royal Philips retained their 2ndand 3rdplace rankings respectively, having both appeared in the top three each year. New entrants to the top 10 include Johnson & Johnson, which has leapt from 32ndto 6thplace this year, alongside Danone, which moved from 18th to 10thplace. 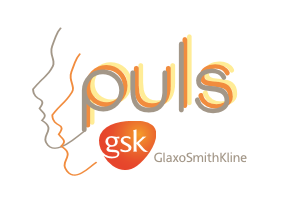 DM2 Agency’s clients: GSK and Nestle proudly are on the top of this ranking! “The most successful marketers are those who recognise the importance of clear values, which are consistently communicated and profoundly experienced. And this is a way how we serve our clients.” – summarises Dorota Iwankiewicz FCIM, DM2 creative director.